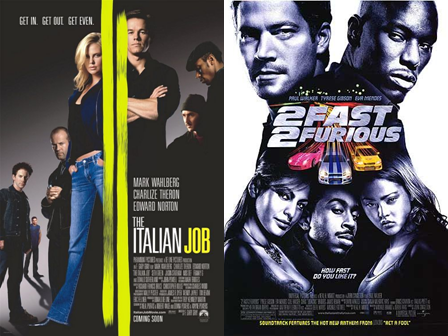 The similarities: In a follow-up to a previous popular film with the same (or close to) name, cars gets driven really fast by likeable criminals in the pursuit of major scores. 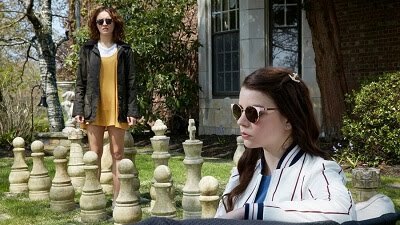 The differences: The former was a remake of the 1969 Michael Caine crime film with a criminal betraying his former partners and becoming the subject of their revenge plot. The latter film, a follow-up to 2001’s “The Fast and the Furious,” followed a police officer on the wrong side of the law struggling to expunge his record by again working undercover with the bad guys. The releases: The former made $106 million domestically on a $60 million budget while the latter took in $127 million on a $76 million budget but nearly doubled that gross internationally. The former received mostly positive reviews while the latter wasn’t terribly well-received. Which one is more likely to be remembered? It depends. The former wasn’t extremely memorable, and the latter is part of an increasingly successful franchise, of which it’s considered to be the worst entry. In terms of heist and car racing movies, neither ranks too high, and they’re both passable but ultimately forgettable films.